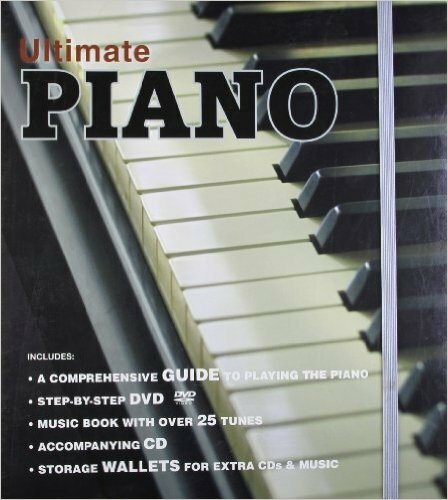 Description The folder box set includes: 'Learn to play the Piano' edition with accompanying DVD. Book of sheet music includes over 20 popular songs and tunes with accompanying CD. Extra wallets to store your keepsakes and musical compositions. Explains the workings of scales, chords, and other musical 'building blocks' with step-by-step colour photographs. Sleek, contemporary eye-catching design, in an easy-to-use format. This interactive box set is the perfect companion for all budding musicians.